From Liverpool, England, Mugstar have released their debut album on CD & LP (each on a different label). Right out of the starting gate you can tell we're going to be in deep and heavy space rock territory. "My Baby Skull Has Not Yet Flowered" (LOVE that title!) opens the set and is a relentlessly pounding cosmic assault that brings to mind the most intense moments of Space Ritual era Hawkwind. "Crempog Smultron" is similar but has a more modern and sophisticated rhythmic pace that I really dig. Like a blend of Hawkwind, Circle and Godspeed You Black Emperor, if you can imagine that. "Good Posture vs. Bad Posture" is one of my favorite tracks of the set. It starts off very different from the first couple tunes, sounding very much like a Black Sun Ensemble styled hard psych rocker. But after a few minutes it shifts gears, easing the pace with mind-bending soaring space guitars that serve as a peaceful transitional bit, before once again launching into a potent space assault that sounds like Farflung at their most intense and with an ultra heavy King Crimson-ish bass. Outtasight!! "Subtle Freak" is one of the slowest, yet most powerful tracks of the set, starting off with a very cool combination of calmly tripping space guitars and ominous pounding bass, yet soon launching into a space rocking soundscape jam that rocks like a spaced out version of King Crimson on the one hand, but also has that power-ambient Godspeed You Black Emperor feel, and perhaps a wee bit of shoegazer drift. Absolutely fantastic. "Man With Supersight" closes the set and is a head bashing Circle like punky post-rock, prog-rock, whatever you wanna call it feel. 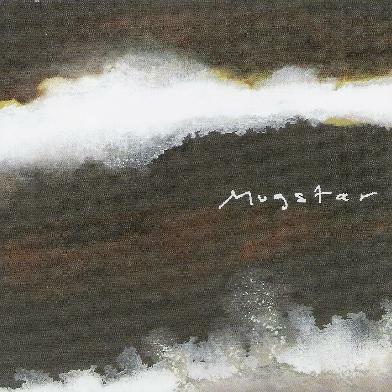 In summary, Mugstar play all instrumental, 100% undiluted space rock, but with a flair for blending multiple influences from both early and contemporary eras, making them ultimately difficult to really define or pigeonhole. This will easily make my best of 2007 list. For more information you can visit the Mugstar web site at: http://www.mugstar.com. Visit the Mugstar Myspace page at: http://www.myspace.com/mugstar.